This course introduces the power and flexibility of Microsoft Outlook 2010. We'll introduce the concept of Outlook Today, adding senders to Blocked Senders or the Safe Senders lists, and how to set up and use Search folders. These high-energy, engaging training courses are being scheduled now in Central and Hong Kong wide. 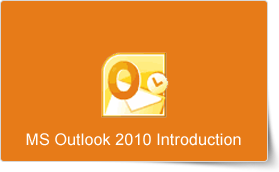 This Outlook 2010 Introduction training course running in Central and Hong Kong wide, is rated 5.0/5.0 in overall quality by ProCert Labs, covers the basic functions and features of Outlook 2010. Participants will learn how to read, create, send, and forward e-mail messages.